Quarante-deux :: My forever smiling girl. Gui had Columbus Day off last week, but it was pretty rainy and gross all day. We caught up with some family, hit up our favorite coffee shop, and finally retreated outside when the skies cleared. The joy! 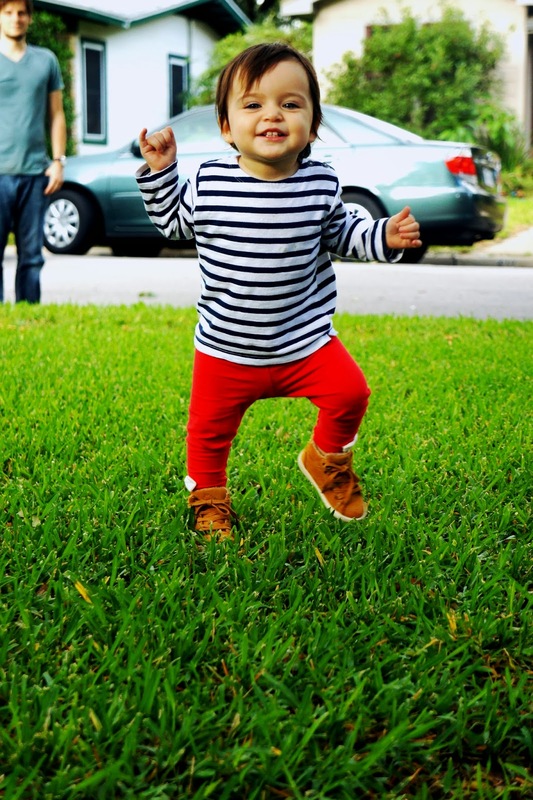 All that enthusiasm Avienne has for exploring outside and around her world is what keeps me in check when days seem full of gloom and gray. I sure love being this girl's mama. She seems to really love life!